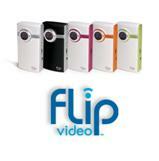 Student Library Survey: Win a Flip Camcorder! Let us know by filling out the Drexel Library survey and you will have a chance to win a Flip Camcorder! It takes less than 5 minutes to complete, and the information you provide will help us improve our collections and services. To complete the survey, log on to my.sju.edu and click on the survey link under Announcements. If you have any problems accessing the survey or any questions, contact the Drexel Library through email at librarysurvey@sju.edu. The survey closes on Feb. 12, 2010. Your help is much appreciated!